We make it easy for you to sell team branded apparel to fans, parents and alumni. Fans get to feel like they're part of the team, parents get to show off their spirit from the stands and alumni get to re-live their glory days with team apparel. Players gain encouragement, motivation and drive from seeing fan support. Knowing that others are there pushes players to perform. No upfront cost, no dealing with checks, no dealing with customers. Just tell people about the store and we'll take care of the rest. You'll get daily updates with your progress, what's selling and how much your team is raising. When your store closes, we send you a check and the apparel. No risk, just reward. 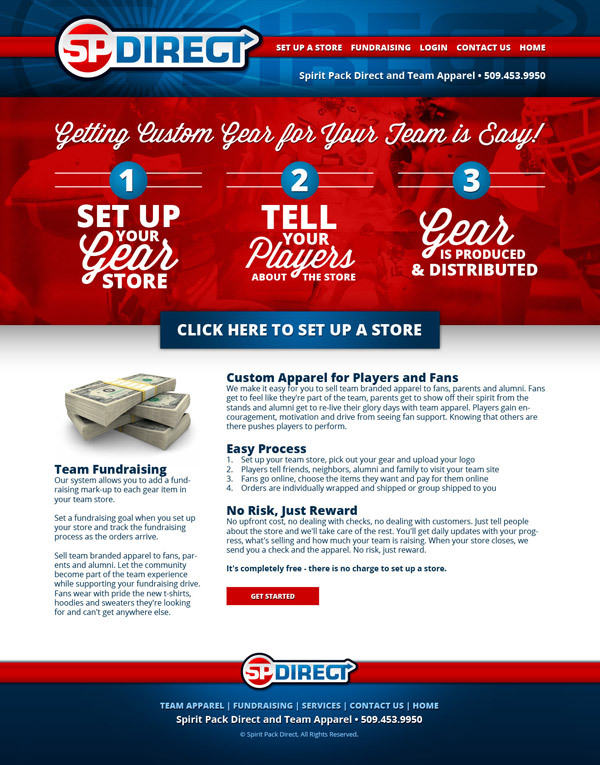 Our system allows you to add a fundraising mark-up to each gear item in your team store. Set a fundraising goal when you set up your store and track the fundraising process as the orders arrive.